Energy efficient design prevents static pressure buildup. Tested and classified by Underwriters Laboratories, Inc. Available in stainless steel, aluminum or galvanized steel. 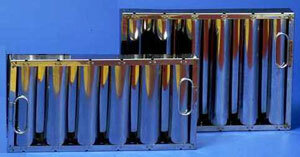 Most efficient and durable multi-layered grease filters. 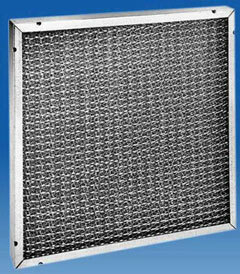 Filter media is crimped expanded metal and wire screen. Rugged construction features an 18 gauge galvanized steel frame (Standard). Available also in stainless steel.